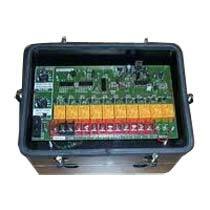 We are the prime Sequential Timer Cards Supplier in India. Our Sequential Timer Cards comes in different channels, depending upon the number of bags installed in a bag house e.g. : 6 channels, 10 channels, 18 channels etc. Our Sequential Timer Cards are used to clean filter bags by allowing air to pass through bag filters for a very short time called pulse. This is done in sequential manner to clean all filter bags in a cyclic fashion.